Maynooth St Patricks day parade. Post subject: Maynooth St Patricks day parade. 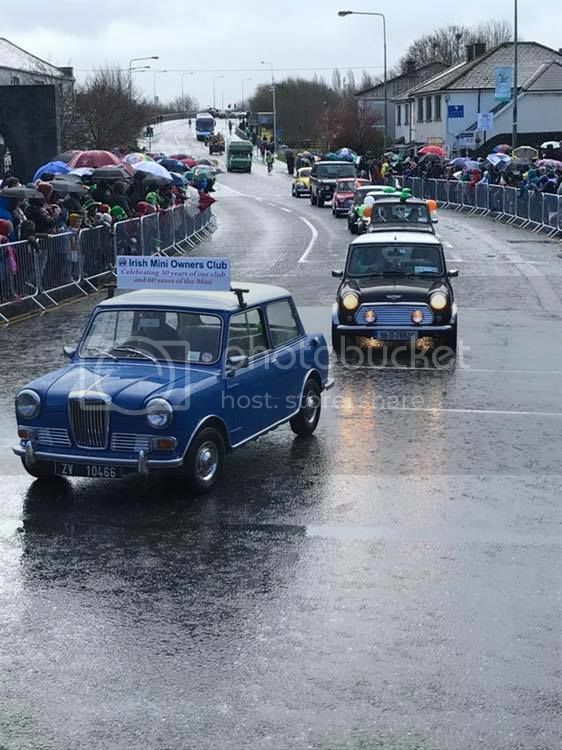 This year we will be taking part in the Maynooth parade to mark our 30th club and 60th mini anniversary, if there is anyone interested in joining us, please be at the Lidl carpark Maynooth at 10:00am as the roads are closed off at 10:30. Post subject: Re: Maynooth St Patricks day parade.